A pure trip down memory lane. 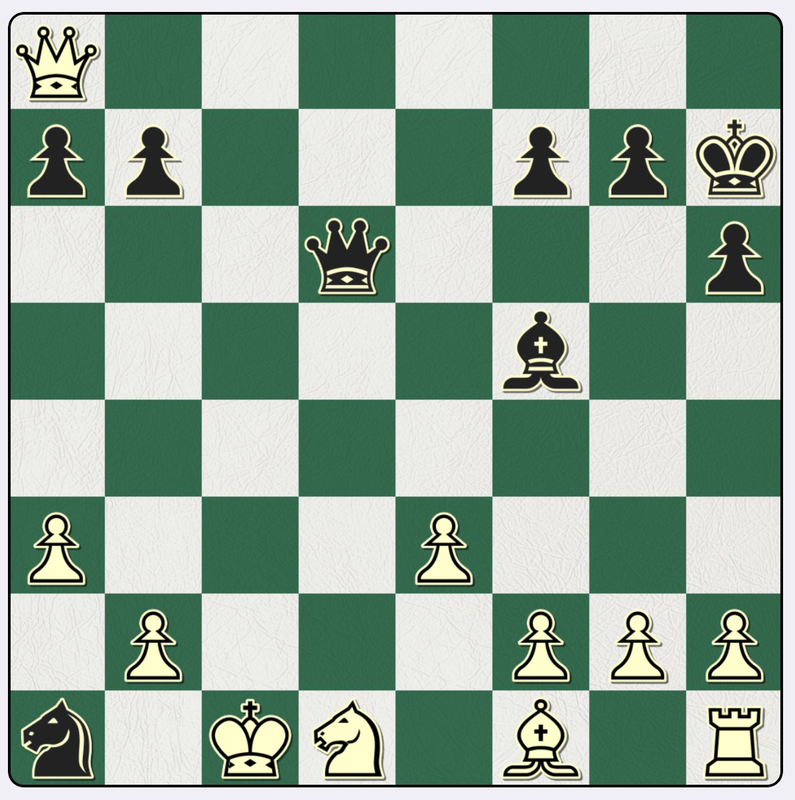 I clearly remember this position, and the joy as a twelve year old seeing it, possibly for the first time in the February 1975 British Chess Magazine (BCM): I say possibly, because, oddly, the game isn’t given much profile in that magazine, which I had a look at in writing this posting. A really liked Rafael Vaganian, who to my pre teenage eyes was (i) Russian [I suspect he was Armenian] and (ii) stylish; and the fact that he lost to someone I had not heard of, in fine style, with Na1!! was really notable. It has been nice to see Rafael playing in Biel last month, the first I have seen of him for many years. 4 Qb7 Qc7+!! – the final joyful coup. Vaganian resigned, rather than permitting 5 Qc7 Nb3 mate. However, there is a spoiler. After 4 Bc4! Qc7 5 Nc3 Qc4 6 Qd8 just about holds the balance. 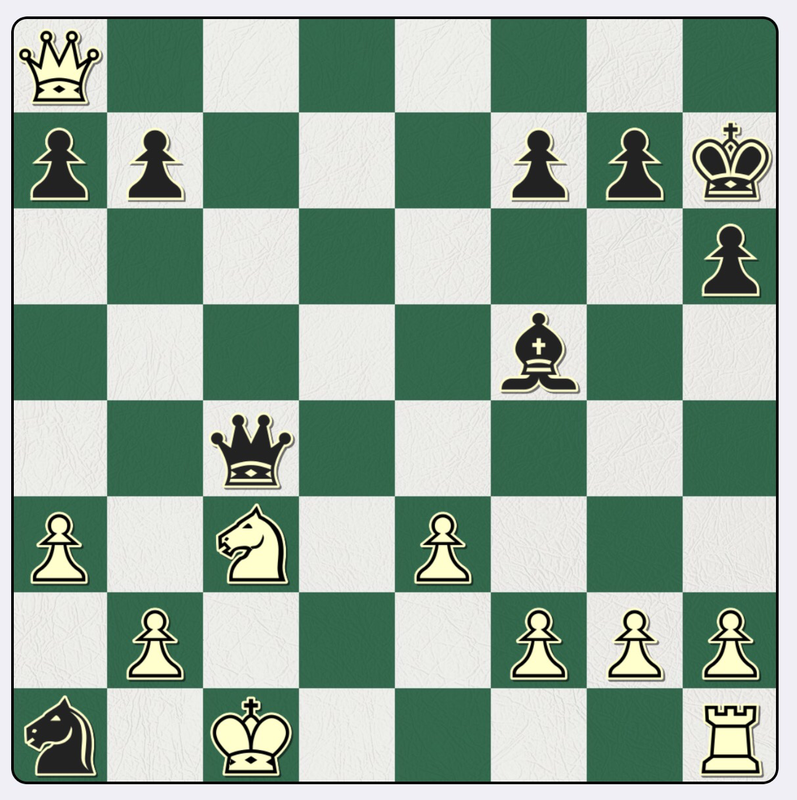 I have played a few variations out with my engine: White’s king is checked into the open board, so in human chess terms Black is having all the fun, but the engine regards the line as equal. 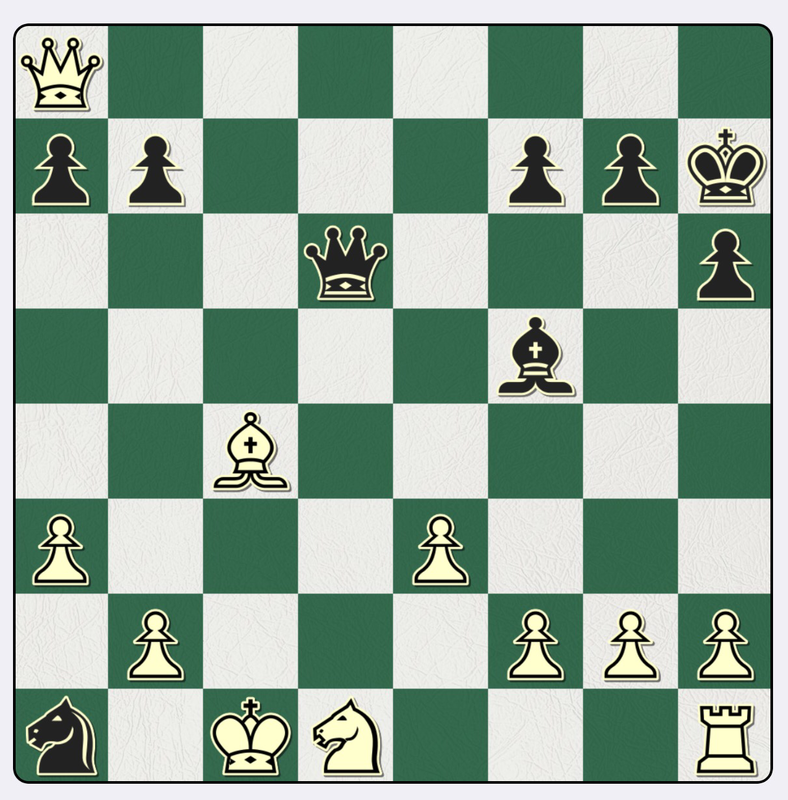 Also, 3 Kc3 is just about playable, though I think Black is better and White would have a tough time holding on. The real mistake was therefore 4 Qb7? ?